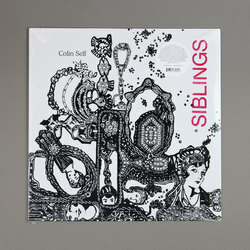 Colin Self - Siblings. Vinyl LP. Bleep. The sixth and final part of his Elation opera series, Siblings sees New York composer and choreographer Colin Self resume his epistemological study by delving into non-biological familial connections - communities, movements, shared responsibility on a dying planet - informed in part by Donna Haraway’s writings on cyborg theory. 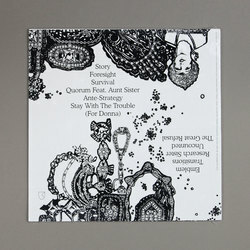 Laughing voices double and fade and bend and break, more often than not, over mind-expanding four-on-the-floor thumping, undeniably recalling the collectivism and communal euphoria of early club scenes. Yet Self’s elegiac vocal rings clear and true, and offers a salve for individualist society; “we commit to you”, he sings.